Special Features * The Whirlpool 77cm Built-in Hob has four electric cooking zones, including a Big Dual Zone which gives you the flexibility to use large pots and pans. 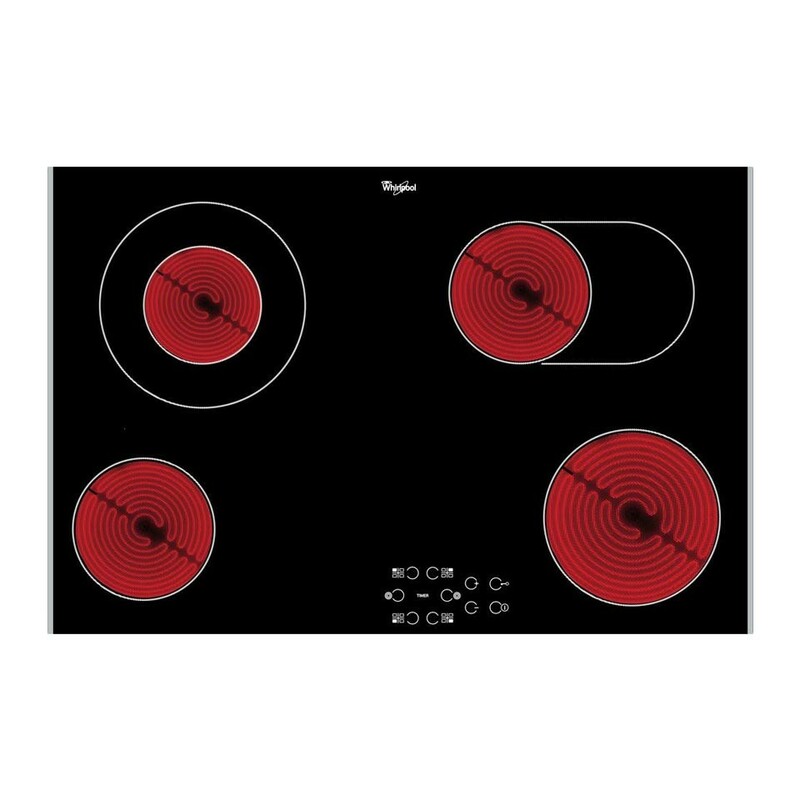 Cooking is made easy thanks to separate timers for each plate * Frameless Design * Description Separate Timers For All Zones New timers for each zone on the Whirlpool 77cm built-in hob help make cooking easier, allowing you to set a separate cooking time for each plate. Big 30cm Zone /Burner Big dual zone with a 30cm diameter gives you the flexibility to use large pots and pans. * Specials Features The Whirlpool 77cm built-in hob AKT 8360 LX comes with unique features that include: 4 Electric cooking zones; 1-9 Heat setting; Total power output of 6800W; Residual heat indicator; Touch control; Child lock; Stainless steel lateral trim; Black; Whirlpool WPRO pot converter accessories available. Dimensions Of Whirlpool 77cm Built-In Hob The Product Dimensions are H 46mm x W 770mm x D 510mm. Cut-out Dimensions: H 42mm x W 750mm x D 490mm.